Dior's latest lipstick offering is the Rouge Dior-Couture Colour Voluptuous Care lipstick. Somewhat of a mouthful so lets just call them Rouge Dior. My interest in these lipsticks was piqued by reading the reviews posted by Sunny at Mostly Sunny. Pretty much anything that gets Sunny's seal of approval immediately goes on my 'must check out' list and this was no exception. 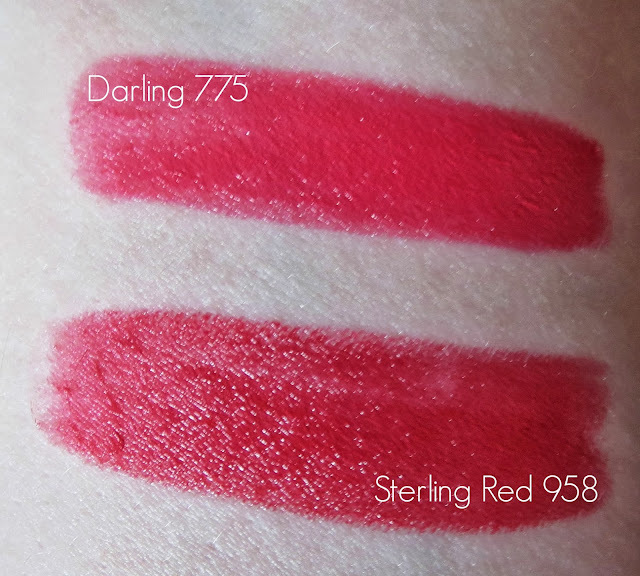 I picked up 958 Sterling Red and 775 Darling during my recent Dubai Duty Free Haul and got to try them out this week. You can find links to all of Sunny's reviews of this range in that link too. Firstly, the packaging is sleek and understated. Glossy navy blue with silver detailing. I like it. It will look swish in my make up bag. The lipstick bullet has the word Dior embossed into it. The formula is consistent on both-very creamy and smooth to apply with no tug on the lips. Sterling Red was more difficult to apply directly from the bullet but only from a precision not an application point of view. I used a lip brush to apply Sterling Red in the end just to try to achieve the most precise finish. It's quite a 'slippy' formula to apply but once on the lips it's not moving-no bleeding to be seen. Both colours are very pigmented, bold and opaque. The finish is smooth and glossy. 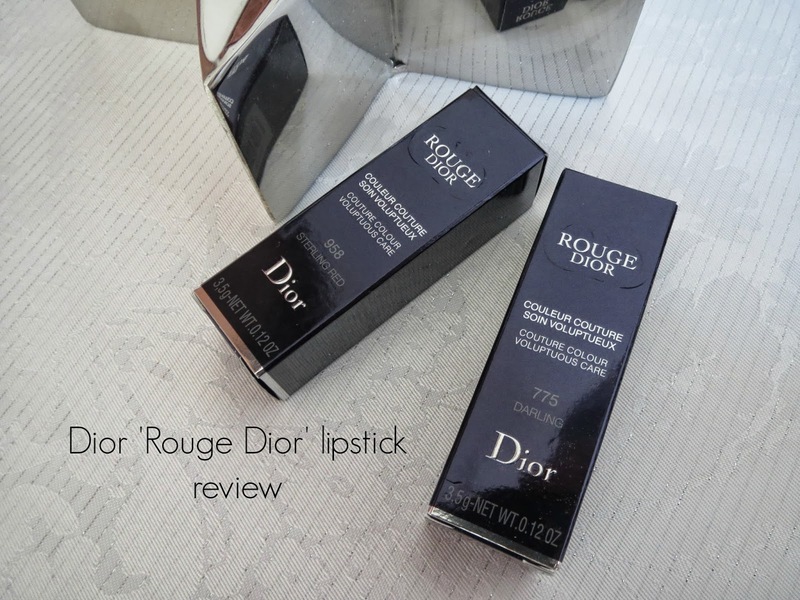 The formula is comfortable and hydrating-not as lightweight as the Giorgio Armani Rouge Ecstasy lipsticks are, I can definitely feel I am wearing something on my lips. The Rouge Ecstasy lipsticks are so easy to apply from the bullet and feel weightless, the Rouge Dior feel as hydrating as the Rouge Ecstasy but heavier-probably because they are so much more pigmented than the Rouge Ecstasy. 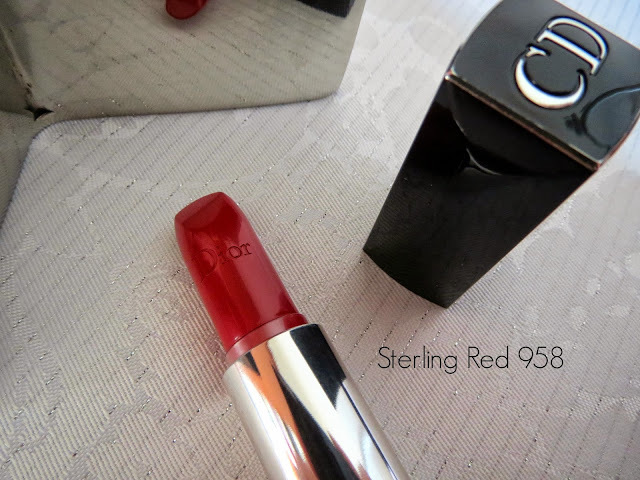 958 Sterling Red is a bold opaque blue red with a glossy finish. I was surprised how close in colour it is to Mac Riri Woo-Riri Woo has a matte finish and Sterling Red is the other end of the spectrum and is super glossy. Both have teeth whitening properties because of the blue undertone. Wear time was about 3 hours and a bowl of bolognase-after eating I had a bit of a red ring around my lips but it was nothing a quick smudge using my finger couldn't fix to bring the colour back to life. Here's RiRi Woo and Sterling Red compared-you can see the colours have the same blue red tone but the finishes are very different. Darling is a blue toned fuchsia, almost magenta. Wear time was a little longer with even fading. I love this lipstick! As much as I am into nudes at the moment you cannot beat a bright lipstick. This pink brightens my face as soon as I swipe it on. The bottom line? 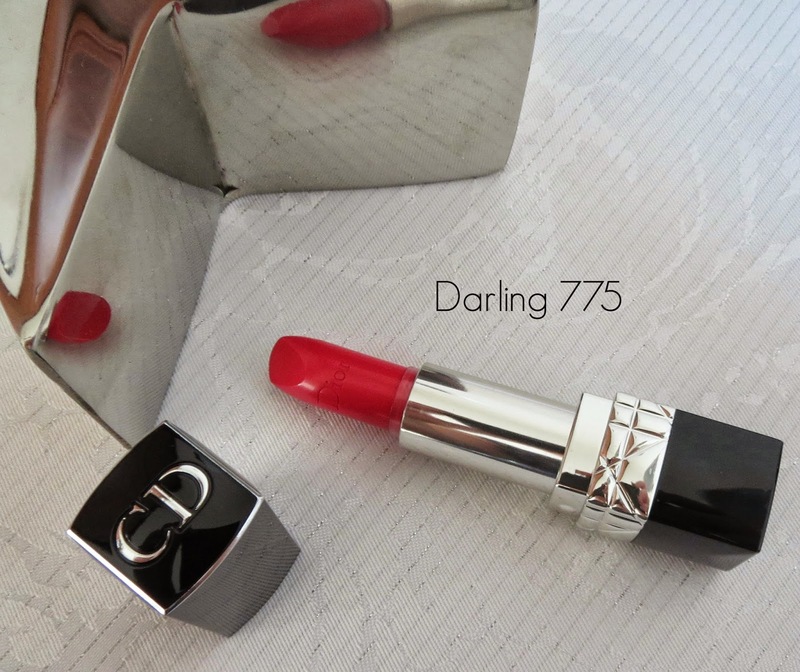 A great lipstick from Dior. No wonder I have already picked up a couple more.